A new offline combat action game just arrival: Dragon Shadow Warriors. The best arcade game of 2018 and promising to create a major earthquake on Google Play. This is an infinity battle between ⚔️ God ⚔️ and ☠ Devil ☠ in shadow shape. The dark is coming, our world is calling for a super hero who can fight for justice, to bright up the hope in the darkness and save the Earth. In the fate battles, our super hero has to defeat shadow zombies, monsters and big death bosses to move forward. The legend warriors can call the support from super dragon after collect special ball around the world. 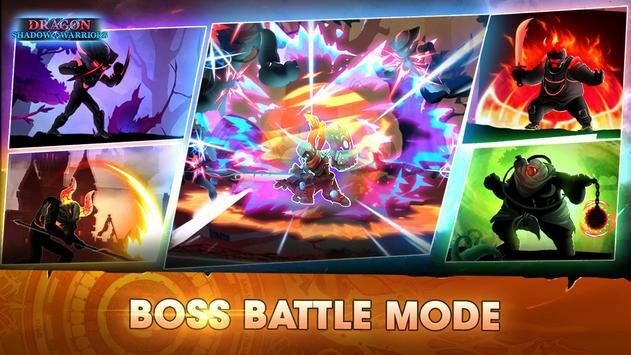 Gather the best heroes together and equip the special items to make them stronger. Your shadow enemies are more and more dangerous after each level with different hidden kung fu skills. Remember to upgrade your hero skills and make sure they learn enough skills for new battle. Precious skills can be unlocked after your hero reach to certain level. Some mystery ninja skills like tornado jump may also be useful in fierce battles. * Use combo attack to damage in wide range. * Transform to critical state to increase your power and health. * The shadow boss fighters are dangerous, avoid direct damage from them. * Collect the magic materials to craft rare items. * Fulfill your power and energy after a long shadow war. 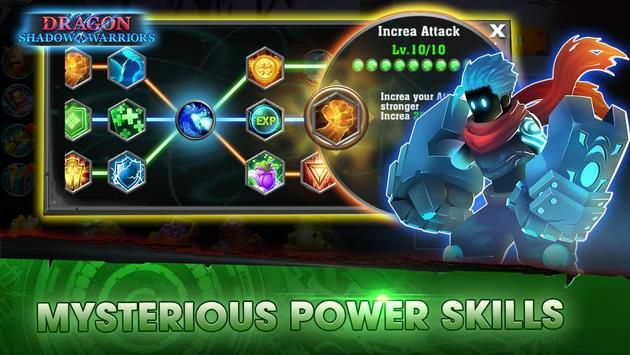 * Upgrade the skills to level 1,2,3, 4 or more to become stronger . * Your support items can also be upgraded to higher levels. 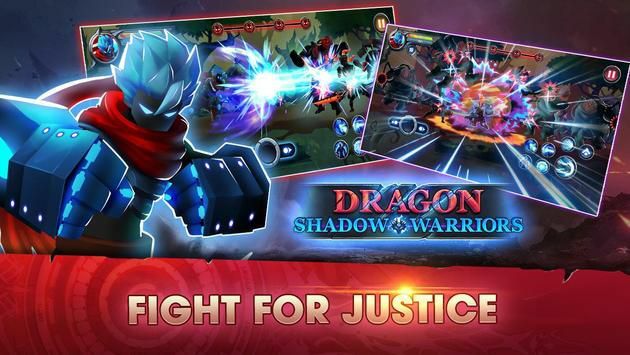 Dragon Shadow Warriors: Last Stickman Fight Legend is a new offline action game with epic innovation gameplay, vivid sound and beautiful effects. No more concerns about the internet, now you can enjoy this game every time you have and everywhere you are with full combat action games experiences. The online mode is also planned to release at the end of 2018. Good game about shadow fighting which is optimized both for mobile and tablet. Enjoy the martial art with kung fu fighter like in a goku manga story. This one of the greatest RPG action game is free for download, free for play but some special items can be bought by in app purchase. Let’s fight as it is the last battle! Are you ready to be the greatest knight in this stickman games? NOTE: This game is created by Alphaway Game (http://alphawaygame.com). Alphaway Game is ownership for copyright of all Game UI design, character design, character effect design. We will report to Google to suspend all the game that stolen our Intelectual Property.